Infrastrutture SpA has signed the Trillion Tonne Communiqué to support the global call from business for a policy response to the explicit scientific warnings of the risks posed by the continuing rise in atmospheric greenhouse gases. Signatories believe that climate risks can be successfully managed and that the transition to a net-zero emission economy can be delivered in ways that create new business opportunities, with manageable costs. We urge companies to join the global call and sign the Trillion Tonne Communiqué. August 19 is Earth Overshoot Day 2014, marking the date when humanity has exhausted nature's budget for the year. For the rest of the year, we will maintain our ecological deficit by drawing down local resource stocks and accumulating carbon dioxide in the atmosphere. We will be operating in overshoot. According to Global Footprint Network’s calculations, our demand for renewable ecological resources and the services they provide is now equivalent to that of more than 1.5 Earths. The data shows us on track to require the resources of two planets well before mid-century. 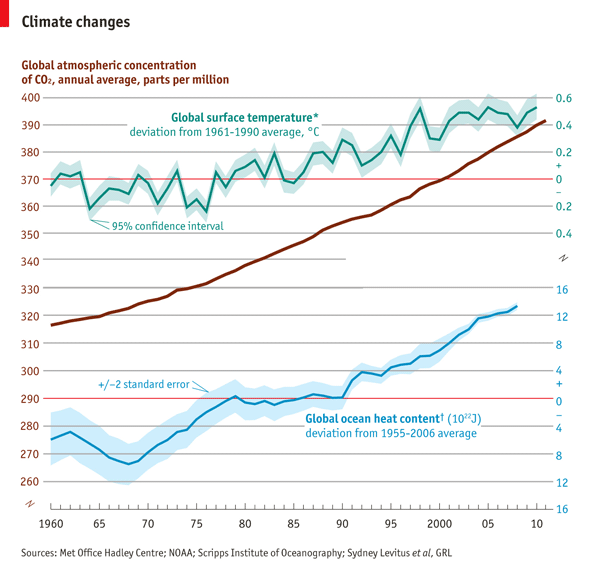 Climate Central: Could 2014 Become the Warmest Year on Record? 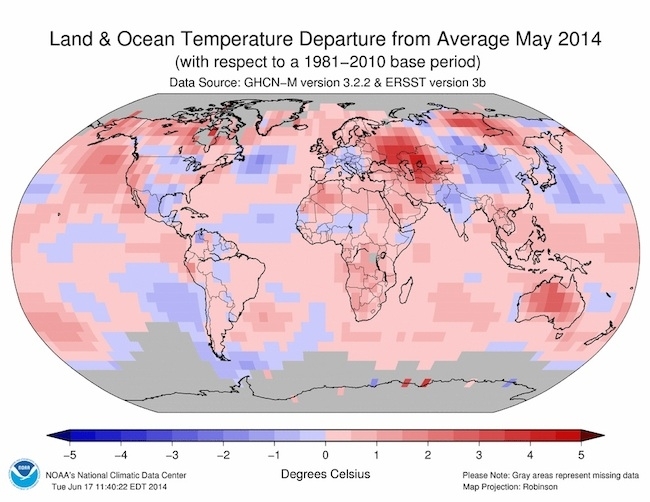 Even though the year is only halfway over, a series of warm months — including the warmest May on record, announced Monday — paired with a brewing El Niño, have set one question circulating: Could 2014 take over the title of the warmest year on record? It’s possible, experts say, but the No. 1 ranking is far from guaranteed, as the effects of an El Niño — an event that can raise global temperatures — on temperature may not fully emerge until the winter. Pensioners left on their own during a heatwave in industrialised countries. Single mothers in rural areas. Workers who spend most of their days outdoors. 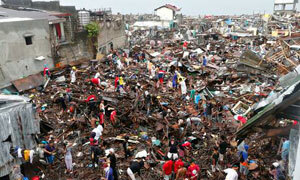 Slum dwellers in the megacities of the developing world. These are some of the vulnerable groups who will feel the brunt of climate change as its effects become more pronounced in the coming decades, according to a game-changing report from the UN's climate panel released on Monday. Climate change is occurring on all continents and in the oceans, the authors say, driving heatwaves and other weather-related disasters. The scientific case is strengthening: developed countries are to blame for global warming – and there will soon be a legal reckoning. "Legal action is not a substitute for politics, but it could highlight the evidence in an uncomfortable way"
The record of atmospheric carbon-dioxide levels started by the late Dave Keeling of the Scripps Institute of Oceanography is one of the most crucial of the data sets dealing with global warming. When the measurements started in 1959 the annual average level was 315 parts per million, and it has gone up every year since. Now it is more like two parts per million per year. The figure for 2011 is 391.6. 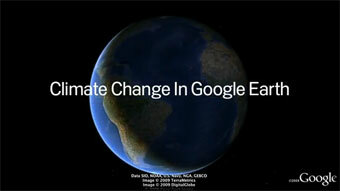 More carbon dioxide in the atmosphere means a stronger greenhouse effect. Almost six years ago, I was the editor of a single-topic issue on energy for Scientific American that included an article by Princeton University's Robert Socolow that set out a well-reasoned plan for how to keep atmospheric carbon dioxide concentrations below a planet-livable threshold of 560 ppm. The issue came replete with technical solutions that ranged from a hydrogen economy to space-based solar. If I had it to do over, I'd approach the issue planning differently, my fellow editors permitting. I would scale back on the nuclear fusion and clean coal, instead devoting at least half of the available space for feature articles on psychology, sociology, economics and political science. Since doing that issue, I've come to the conclusion that the technical details are the easy part... It's the social engineering that's the killer. Moon shots and Manhattan Projects are child's play compared to needed changes in the way we behave. 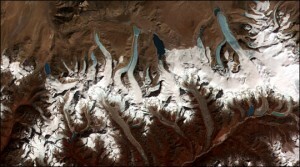 UN chief challenges world to agree tougher target for climate change. 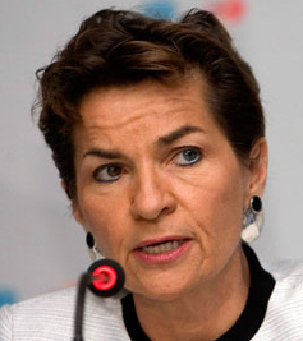 Global warming should be limited to 1.5°C, not 2°C, declares Christiana Figueres. The world should agree to limit global warming to just 1.5°C instead of the current target of 2°C, the climate chief has said, in remarks that shocked the governments of developed nations. Christiana Figueres, executive secretary of the UN framework convention said: "Two degrees is not enough – we should be thinking of 1.5°C. 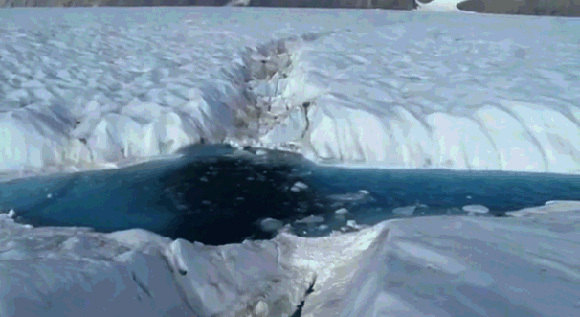 If we are not headed to 1.5°C we are in big, big trouble." Scientists estimate that 2°C of warming is the limit of safety, beyond which climate change becomes catastrophic and irreversible. Last December at a UN climate conference in Cancun, Mexico, all countries reached a consensus on a 2°C target, the first time the world's governments had set a target limit on climate change. 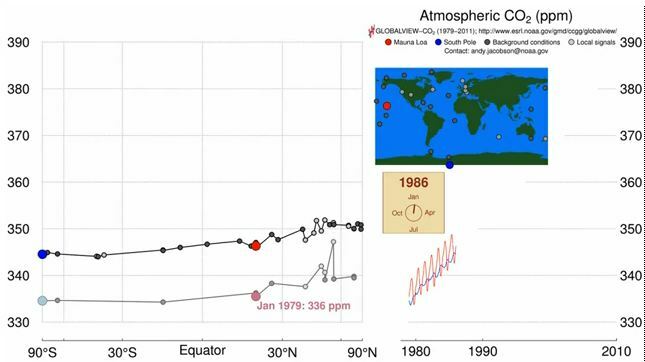 Time history of atmospheric carbon dioxide from 800,000 years ago until January, 2011. 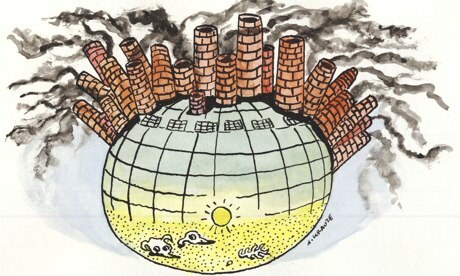 Since 1890 the problems caused by the carbon dioxide emissions are known. What has been done? Explore the potential impacts of climate change on our planet Earth and learn about solutions for adaptation and mitigation. The communiqué is being issued by the business leaders of over 500 global companies. It calls for an ambitious, robust and equitable global deal on climate change that responds credibly to the scale and urgency of the crises facing the world today. Is difficult to portend where the technology evolution tornado launched in the last decade in the energy sector will stop, Certainly, it represents a challenge that frightens old style electric companies and an opportunity maybe comparable to internet for new born companies. There will not be exclusion of fights and battles between the different players, but at least those will not be vicious as the ones battled to domain oil and natural gas sources in the last 50 years and in the end winners could be final consumers, citizens and those countries that have better understood and adapted to these changes. Trailer - "The Age of Stupid"
The Age of Stupid - A film about climate change, stars as a man living alone in the devastated world of 2055, looking at old footage from 2008 and asking: why didn't we stop climate change when we had the chance?